Now, a team of researchers led by the University of Cambridge have used the Atacama Large Millimeter/submillimeter Array (ALMA) to search for planetary ‘siblings’ to this infant hot Jupiter. Their image revealed three distinct gaps in the disc, which, according to their theoretical modelling, were most likely caused by three additional gas giant planets also orbiting the young star. Their results are reported in The Astrophysical Journal Letters. Photosynthesis is the process plants use to convert sunlight into energy. Oxygen is produced as a by-product of photosynthesis when the water absorbed by plants is ‘split’. It is one of the most important reactions on the planet because it is the source of nearly all of the world’s oxygen. Hydrogen which is produced when the water is split could potentially be a green and unlimited source of renewable energy. A new study led by academics at the University of Cambridge, used semi-artificial photosynthesis to explore new ways to produce and store solar energy. They used natural sunlight to convert water into hydrogen and oxygen using a mixture of biological components and manmade technologies. The research could now be used to revolutionise the systems used for renewable energy production. A new paper, published in [Nature Energy], outlines how academics at the Reisner Laboratory in Cambridge’s Department of Chemistry developed their platform to achieve unassisted solar-driven water-splitting. Artificial photosynthesis has been around for decades but it has not yet been successfully used to create renewable energy because it relies on the use of catalysts, which are often expensive and toxic. This means it can’t yet be used to scale up findings to an industrial level. Sokół and the team of researchers not only improved on the amount of energy produced and stored, they managed to reactivate a process in the algae that has been dormant for millennia. Sokół hopes the findings will enable new innovative model systems for solar energy conversion to be developed. Dr Erwin Reisner, Head of the Reisner Laboratory, a Fellow of St John’s College, University of Cambridge, and one of the paper’s authors described the research as a ‘milestone’. The researchers have identified a range of planets where the UV light from their host star is sufficient to allow these chemical reactions to take place, and that lie within the habitable range where liquid water can exist on the planet’s surface. The new paper is the result of an ongoing collaboration between the Cavendish Laboratory and the MRC LMB, bringing together organic chemistry and exoplanet research. It builds on the work of Professor John Sutherland, a co-author on the current paper, who studies the chemical origin of life on Earth. In a paper published in 2015, Professor Sutherland’s group at the MRC LMB proposed that cyanide, although a deadly poison, was in fact a key ingredient in the primordial soup from which all life on Earth originated. In this hypothesis, carbon from meteorites that slammed into the young Earth interacted with nitrogen in the atmosphere to form hydrogen cyanide. The hydrogen cyanide rained to the surface, where it interacted with other elements in various ways, powered by the UV light from the sun. The chemicals produced from these interactions generated the building blocks of RNA, the close relative of DNA which most biologists believe was the first molecule of life to carry information. In the laboratory, Sutherland’s group recreated these chemical reactions under UV lamps, and generated the precursors to lipids, amino acids and nucleotides, all of which are essential components of living cells. The two groups performed a series of laboratory experiments to measure how quickly the building blocks of life can be formed from hydrogen cyanide and hydrogen sulphite ions in water when exposed to UV light. They then performed the same experiment in the absence of light. The same experiment run in the dark with the hydrogen cyanide and the hydrogen sulphite resulted in an inert compound which could not be used to form the building blocks of life, while the experiment performed under the lights did result in the necessary building blocks. The researchers then compared the light chemistry to the dark chemistry against the UV light of different stars. They plotted the amount of UV light available to planets in orbit around these stars to determine where the chemistry could be activated. They found that stars around the same temperature as our sun emitted enough light for the building blocks of life to have formed on the surfaces of their planets. Cool stars, on the other hand, do not produce enough light for these building blocks to be formed, except if they have frequent powerful solar flares to jolt the chemistry forward step by step. Planets that both receive enough light to activate the chemistry and could have liquid water on their surfaces reside in what the researchers have called the abiogenesis zone. Among the known exoplanets which reside in the abiogenesis zone are several planets detected by the Kepler telescope, including Kepler 452b, a planet that has been nicknamed Earth’s ‘cousin’, although it is too far away to probe with current technology. Next-generation telescopes, such as NASA’s TESS and James Webb Telescopes, will hopefully be able to identify and potentially characterise many more planets that lie within the abiogenesis zone. Of course, it is also possible that if there is life on other planets, that it has or will develop in a totally different way than it did on Earth. The research was funded by the Kavli Foundation and the Simons Foundation. Some very interesting science here, but very speculative to set a “abiogenesis zone” based on the paucity of habitable factors, even admitting this is the best possible at this time. Abiogenesis is a myth, like Darwin’s “warm little ponds,” Oparin-Haldane primordial soup, and Miller-Urey test tube goo. If there is no clue how naturalistically life developed on Earth, it is a matter of faith, not objective science, to believe it is relatively easily generated on the basis of the factors delineated here. An international team of astronomers has discovered an ancient and dramatic head-on collision between the Milky Way and a smaller object, dubbed ‘the Sausage galaxy’. The cosmic crash was a defining event in the early history of the Milky Way and reshaped the structure of our galaxy, fashioning both the galaxy’s inner bulge and its outer halo, the astronomers report in a series of new papers. The astronomers propose that around eight to 10 billion years ago, an unknown dwarf galaxy smashed into our own Milky Way. The dwarf did not survive the impact. It quickly fell apart, and the wreckage is now all around us. The salient features of this extraordinary event are outlined in several new papers, some of which were led by Cambridge graduate student GyuChul Myeong. He and colleagues used data from the European Space Agency’s Gaia satellite. This spacecraft has been mapping the stellar content of our galaxy, recording the journeys of stars as they travel through the Milky Way. Thanks to Gaia, astronomers now know the positions and trajectories of our celestial neighbours with unprecedented accuracy. There are ongoing mergers taking place right now, such as between the puny Sagittarius dwarf galaxy and the Milky Way. However, the Sausage galaxy was much more massive. Its total mass in gas, stars and dark matter was more than 10 billion times the mass of our sun. When it crashed into the young Milky Way, it caused a lot of mayhem. The Sausage’s piercing trajectory meant that the Milky Way’s disk was probably puffed up or even fractured following the impact, and the Milky Way had to re-grow a new disk. At the same time, the Sausage debris was scattered all around the inner parts of the Milky Way, creating the ‘bulge’ at the galaxy’s centre and the surrounding ‘stellar halo’. “Numerical simulations of the galactic smash-up can reproduce these features,” said Denis Erkal of the University of Surrey. In simulations ran by Erkal and colleagues, stars from the Sausage galaxy enter stretched out orbits. The orbits are further elongated by the growing Milky Way disk, which swells and becomes thicker following the collision. “Evidence of this galactic remodelling is seen in the paths of stars inherited from the dwarf galaxy,” said Alis Deason of Durham University. “The Sausage stars are all turning around at about the same distance from the centre of the Galaxy. These U-turns cause the density in the Milky Way’s stellar halo to drop dramatically where the stars flip directions.” This discovery was especially pleasing for Deason, who predicted this orbital apocentric pile-up almost five years ago. The new research also identified at least eight large, spherical clumps of stars called globular clusters that were brought into the Milky Way by the Sausage galaxy. Small galaxies do not normally have globular clusters of their own, so the Sausage galaxy was big enough to host its own entourage of clusters. “While there have been many dwarf satellites falling onto the Milky Way over its life, this was the largest of them all,” said Sergey Koposov of Carnegie-Mellon University, who has been studying the kinematics of the Sausage stars and globular cluster in detail. The head-on collision of the Sausage galaxy was a defining event in the early history of the Milky Way. It created the thick disk and the inner stellar halo. Even though the merger took place at a very remote epoch, the stars in the Sausage galaxy can be picked out today. Memory of this event persists in the kinematics and chemistry of its stars. Thanks to the Gaia satellite, astronomers have miraculous data with which we can peer back into the very distant past and recreate the pre-history of our galactic home. An estimated 44 million people worldwide are living with Alzheimer’s disease, a disease whose symptoms include memory problems, changes in behaviour and progressive loss of independence. These symptoms are caused by the build-up in the brain of two abnormal proteins: amyloid beta and tau. It is thought that amyloid beta occurs first, encouraging the appearance and spread of tau – and it is this latter protein that destroys the nerve cells, eating away at our memories and cognitive functions. Until a few years ago, it was only possible to look at the build-up of these proteins by examining the brains of Alzheimer’s patients who had died, post mortem. However, recent developments in positron emission tomography (PET) scanning have enabled scientists to begin imaging their build-up in patients who are still alive: a patient is injected with a radioactive ligand, a tracer molecule that binds to the target (tau) and can be detected using a PET scanner. In a study published today in the journal Brain, a team led by scientists at the University of Cambridge describe using a combination of imaging techniques to examine how patterns of tau relate to the wiring of the brain in 17 patients with Alzheimer’s disease, compared to controls. Quite how tau appears throughout the brain has been the subject of speculation among scientists. One hypothesis is that harmful tau starts in one place and then spreads to other regions, setting off a chain reaction. This idea – known as ‘transneuronal spread’ – is supported by studies in mice. When a mouse is injected with abnormal human tau, the protein spreads rapidly throughout the brain; however, this evidence is controversial as the amount of tau injected is much higher relative to brain size compared to levels of tau observed in human brains, and the protein spreads rapidly throughout a mouse’s brain whereas it spreads slowly throughout a human brain. There are also two other competing hypotheses. The ‘metabolic vulnerability’ hypothesis says that tau is made locally in nerve cells, but that some regions have higher metabolic demands and hence are more vulnerable to the protein. In these cases tau is a marker of distress in cells. The third hypothesis, ‘trophic support’, also suggests that some brain regions are more vulnerable than others, but that this is less to do with metabolic demand and more to do with a lack of nutrition to the region or with gene expression patterns. Thanks to the developments in PET scanning, it is now possible to compare these hypotheses. “Five years ago, this type of study would not have been possible, but thanks to recent advances in imaging, we can test which of these hypotheses best agrees with what we observe,” says Dr Thomas Cope from the Department of Clinical Neurosciences at the University of Cambridge, the study’s first author. Dr Cope and colleagues looked at the functional connections within the brains of the Alzheimer’s patients – in other words, how their brains were wired up – and compared this against levels of tau. Their findings supported the idea of transneuronal spread, that tau starts in one place and spreads, but were counter to predictions from the other two hypotheses. Confirmation of the transneuronal spread hypothesis is important because it suggests that we might slow down or halt the progression of Alzheimer’s disease by developing drugs to stop tau from moving along neurons. 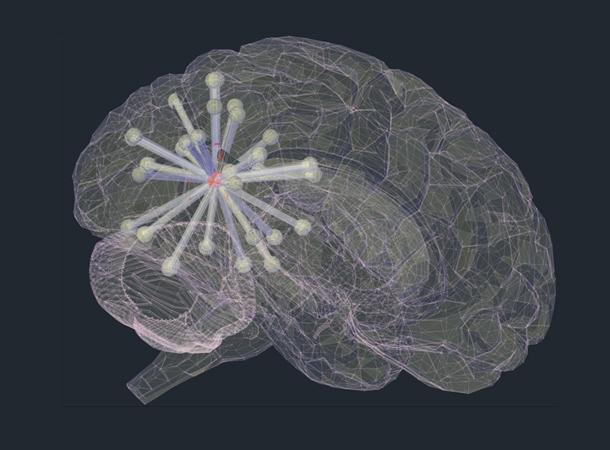 Image: Artist’s illustration of the spread of tau filaments (red) throughout the brain. Credit: Thomas Cope. The same team also looked at 17 patients affected by another form of dementia, known as progressive supranuclear palsy (PSP), a rare condition that affects balance, vision and speech, but not memory. In PSP patients, tau tends to be found at the base of the brain rather than throughout. The researchers found that the pattern of tau build-up in these patients supported the second two hypotheses, metabolic vulnerability and trophic support, but not the idea that tau spreads across the brain. The researchers also took patients at different stages of disease and looked at how tau build-up affected the connections in their brains. In Alzheimer’s patients, they showed that as tau builds up and damages networks, the connections become more random, possibly explaining the confusion and muddled memories typical of such patients. In PSP, the ‘highways’ that carry most information in healthy individuals receives the most damage, meaning that information needs to travel around the brain along a more indirect route. This may explain why, when asked a question, PSP patients may be slow to respond but will eventually arrive at the correct answer. 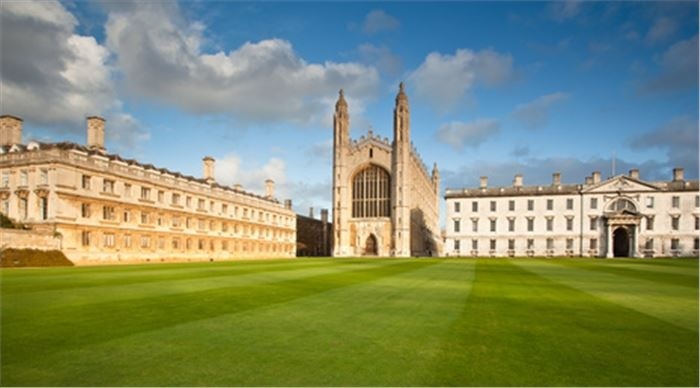 The study was funded by the NIHR Cambridge Biomedical Research Centre, the PSP Association, Wellcome, the Medical Research Council, the Patrick Berthoud Charitable Trust and the Association of British Neurologists. Any particle will always interact with its environment, ‘tagging’ it along the way. Arvidsson-Shukur, working with his co-authors Professor Crispin Barnes from the Cavendish Laboratory and Axel Gottfries, a Ph.D. student from the Faculty of Economics, outlined a way for scientists to map these ‘tagging’ interactions without looking at them. The technique would be useful to scientists who make measurements at the end of an experiment but want to follow the movements of particles during the full experiment. A new detailed study of notes and sketches by Leonardo da Vinci has identified a page of scribbles in a tiny notebook as the place where Leonardo first recorded the laws of friction. The research also shows that he went on to apply this knowledge repeatedly to mechanical problems for more than 20 years. 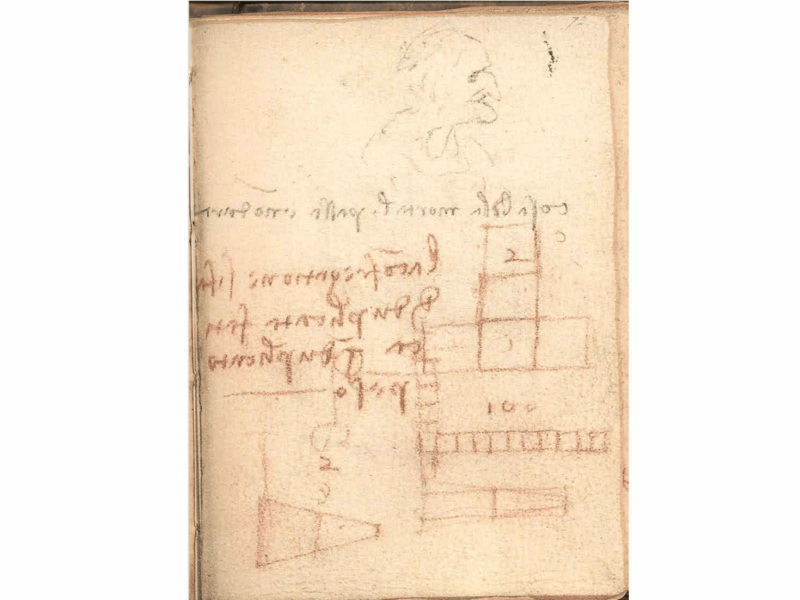 Scribbled notes and sketches on a page in a notebook by Leonardo da Vinci, previously dismissed as irrelevant by an art historian, have been identified as the place where he first recorded his understanding of the laws of friction. The research by Professor Ian Hutchings, Professor of Manufacturing Engineering at the University of Cambridge and a Fellow of St John’s College, is the first detailed chronological study of Leonardo’s work on friction, and has also shown how he continued to apply his knowledge of the subject to wider work on machines over the next two decades. It is widely known that Leonardo conducted the first systematic study of friction, which underpins the modern science of “tribology”, but exactly when and how he developed these ideas has been uncertain until now. Professor Hutchings has discovered that Leonardo’s first statement of the laws of friction is in a tiny notebook measuring just 92 mm x 63 mm. The book, which dates from 1493 and is now held in the Victoria and Albert Museum in London, contains a statement scribbled quickly in Leonardo’s characteristic “mirror writing” from right to left. Ironically the page had already attracted interest because it also carries a sketch of an old woman in black pencil with a line below reading “cosa bella mortal passa e non dura”, which can be translated as “mortal beauty passes and does not last”. Amid debate surrounding the significance of the quote and speculation that the sketch could represent an aged Helen of Troy, the Director of the V & A in the 1920s referred to the jottings below as “irrelevant notes and diagrams in red chalk”. Professor Hutchings’s study has, however, revealed that the script and diagrams in red are of great interest to the history of tribology, marking a pivotal moment in Leonardo’s work on the subject. The rough geometrical figures underneath Leonardo’s red notes show rows of blocks being pulled by a weight hanging over a pulley – in exactly the same kind of experiment students might do today to demonstrate the laws of friction. Professor Hutchings’s research traces a clear path of development in Leonardo’s studies of friction and demonstrates that he realised that friction, while sometimes useful and even essential, also played a key role in limiting the efficiency of machines. Sketches of machine elements and mechanisms are pervasive in Leonardo’s notebooks and he used his remarkably sophisticated understanding of friction to analyse the behaviour of wheels and axles, screw threads and pulleys, all important components of the complicated machines he sketched. He wanted to understand the rules that governed the operation of these machines and knew that friction was important in limiting their efficiency and precision, grasping, for example, that resistance to the rotation of a wheel arose from friction at the axle bearing and calculating its effect. Although he undoubtedly discovered the laws of friction, Leonardo’s work had no influence on the development of the subject over the following centuries and it was certainly unknown to Amontons. Volume rendering of the output from a supercomputer simulation showing part of the cosmic web, 11.5 billion years ago. The most barren regions of the Universe are the far-flung corners of intergalactic space. In these vast expanses between the galaxies there are only a few atoms per cubic meter – a diffuse haze of hydrogen gas left over from the Big Bang. Viewed on the largest scales, this diffuse material nevertheless accounts for the majority of atoms in the Universe, and fills the cosmic web, its tangled strands spanning billions of light years. Now a team of astronomers including Alberto Rorai and Girish Kulkarni, post-doctoral researchers at the Kavli Institute for Cosmology, University of Cambridge, have made the first measurements of small scale ripples in this primeval hydrogen gas. Although the regions of cosmic web they studied lie nearly 11 billion light years away, they were able to measure variations in its structure on scales a hundred thousand times smaller, comparable to the size of a single galaxy. Their results appear in the journal Science. Intergalactic gas is so tenuous that it emits no light of its own. Instead astronomers study it indirectly by observing how it selectively absorbs the light coming from faraway sources known as quasars. Quasars constitute a brief hyper luminous phase of the galactic life-cycle, powered by the infall of matter onto a galaxy’s central supermassive black hole. Quasars act like cosmic lighthouses – bright, distant beacons that allow astronomers to study intergalactic atoms residing between the quasars location and Earth. But because these hyper luminous episodes last only a tiny fraction of a galaxy’s lifetime, quasars are correspondingly rare on the sky, and are typically separated by hundreds of millions of light years from each other. In order to probe the cosmic web on much smaller length scales, the astronomers exploited a fortuitous cosmic coincidence: they identified exceedingly rare pairs of quasars, right next to each other on the sky, and measured subtle differences in the absorption of intergalactic atoms measured along the two sightlines. Rorai, lead author of the study, says “One of the biggest challenges was developing the mathematical and statistical tools to quantify the tiny differences we measure in this new kind of data”. Rorai developed these tools as part of the research for his doctoral degree, and applied his tools to spectra of quasars obtained with the largest telescopes in the world, including the 10m diameter Keck telescopes at the summit of Mauna Kea in Hawaii, as well as ESO’s 8m diameter Very Large Telescope on Cerro Paranal, and the 6.5m diameter Magellan telescope at Las Campanas Observatory, both located in the Chilean Atacama Desert. The astronomers compared their measurements to supercomputer models that simulate the formation of cosmic structures from the Big Bang to the present. “The input to our simulations are the laws of Physics and the output is an artificial Universe which can be directly compared to astronomical data. I was delighted to see that these new measurements agree with the well-established paradigm for how cosmic structures form.” says Jose Oñorbe, a post-doctoral researcher at the Max Planck Institute for Astronomy in Heidelberg, who led the supercomputer simulation effort. On a single laptop, these complex calculations would have required almost a thousand years to complete, but modern supercomputers enabled the researchers to carry them out in just a few weeks. Joseph Hennawi, professor of physics at UC Santa Barbara who led the search for these rare quasar pairs, explains “One reason why these small-scale fluctuations are so interesting is that they encode information about the temperature of gas in the cosmic web just a few billion years after the Big Bang.” Astronomers believe that the matter in the Universe went through phase transitions billions of years ago, which dramatically changed its temperature. These phase transitions, known as cosmic reionization, occurred when the collective ultraviolet glow of all stars and quasars in the Universe became intense enough to strip electrons off of the atoms in intergalactic space. How and when reionization occurred is one of the biggest open questions in the field of cosmology, and these new measurements provide important clues that will help narrate this chapter of cosmic history. A star about the size of Saturn – the smallest ever measured – has been identified by astronomers. No image credit. The newly-measured star, called EBLM J0555-57Ab, is located about six hundred light years away. It is part of a binary system, and was identified as it passed in front of its much larger companion, a method which is usually used to detect planets, not stars. Details will be published in the journal Astronomy & Astrophysics. EBLM J0555-57Ab was identified by WASP, a planet-finding experiment run by the Universities of Keele, Warwick, Leicester and St Andrews. EBLM J0555-57Ab was detected when it passed in front of, or transited, its larger parent star, forming what is called an eclipsing stellar binary system. The parent star became dimmer in a periodic fashion, the signature of an orbiting object. Thanks to this special configuration, researchers can accurately measure the mass and size of any orbiting companions, in this case a small star. The mass of EBLM J0555-57Ab was established via the Doppler, wobble method, using data from the CORALIE spectrograph. Although they are the most numerous stars in the Universe, stars with sizes and masses less than 20% that of the Sun are poorly understood, since they are difficult to detect due to their small size and low brightness. The EBLM project, which identified the star in this study, aims to plug that lapse in knowledge. “Thanks to the EBLM project, we will achieve a far greater understanding of the planets orbiting the most common stars that exist, planets like those orbiting TRAPPIST-1,” said co-author Professor Didier Queloz of Cambridge’ Cavendish Laboratory.